I really enjoyed (the first season of) Haruhi Suzumiya. I always had Haruhi or Mikuru on my list of possible cosplays but when my friend Joe mentioned that he would cosplay as Kyon, I chose to cosplay Haruhi. 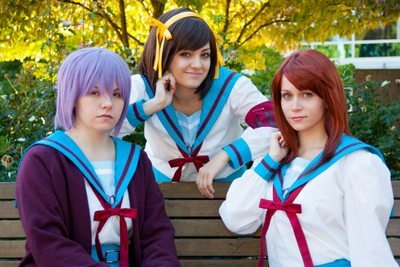 I made Kyon's jacket in two days using a generic blazer pattern and polyester suiting. I lined the jacket in baby pink fabric, per Joe's request. 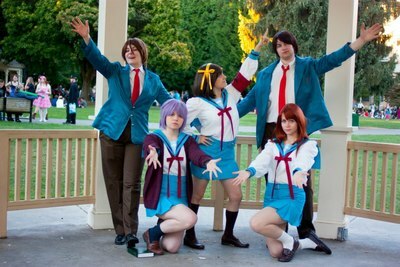 The rest of Kyon's costume was purchased. Haruhi's outfit caused more trouble than I anticipated because I worked without patterns. 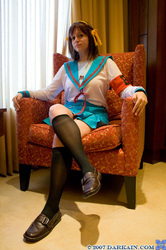 The skirt was a result of a lot of guess work and the collar is almost completely held together with Heat n' Bond. 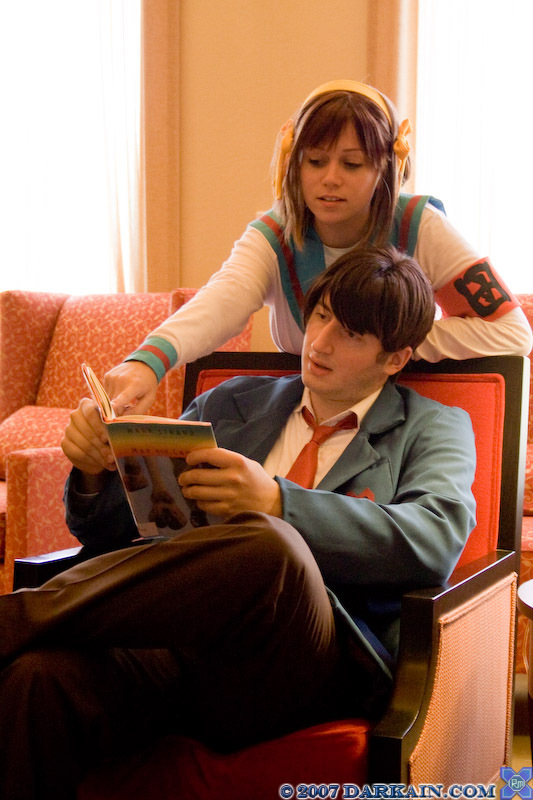 Because of time constraints, the wig was styled from a long, blonde, curly wig which was straightened and colored with brown sharpies by hand. 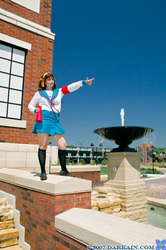 The shirt was once a turtleneck and the cuffs are attached with snaps. 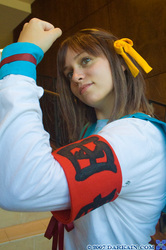 The arm band was made using a scrap of red fabric and the characters were painted on freehand. 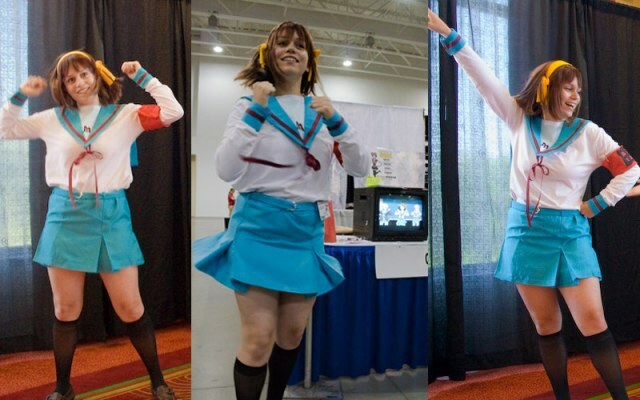 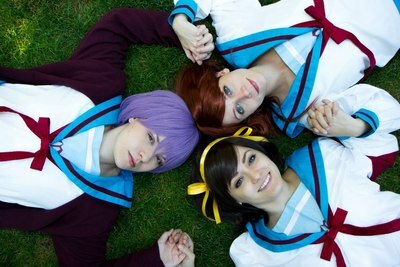 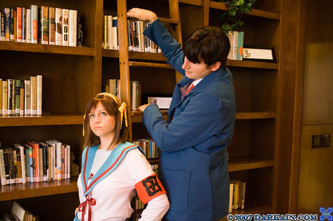 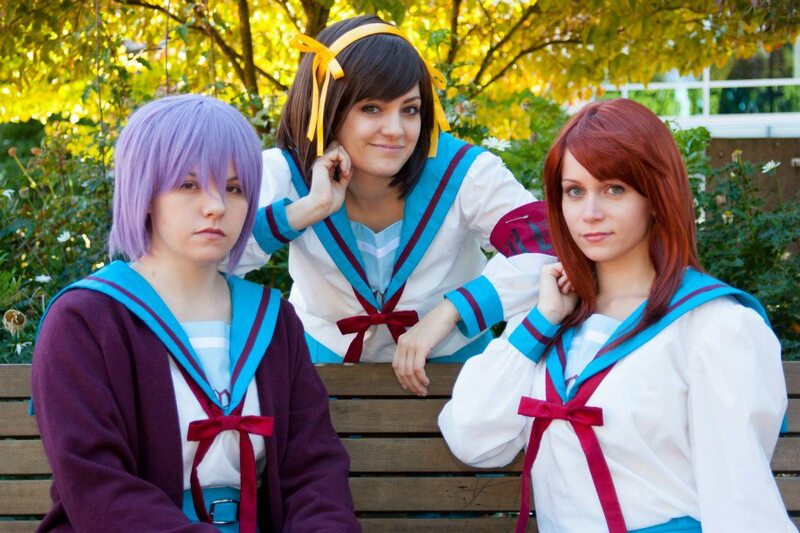 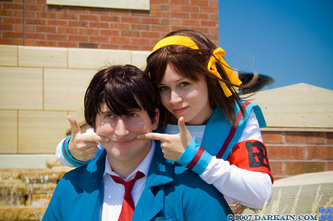 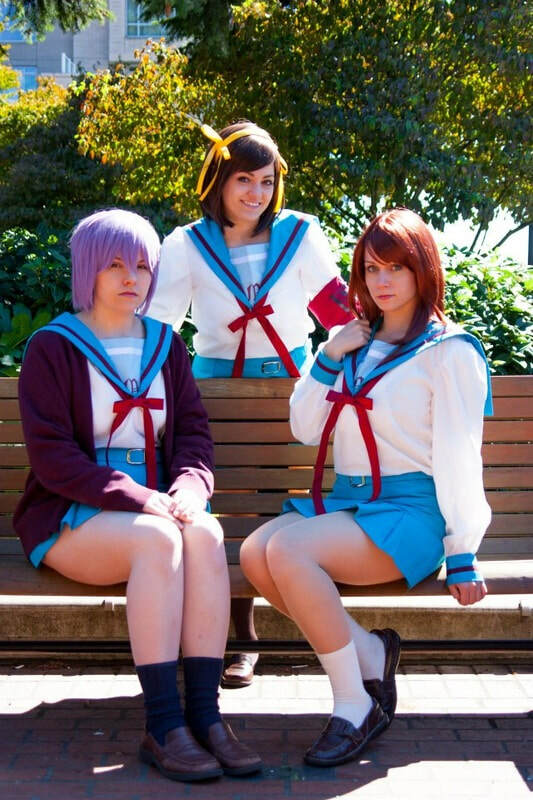 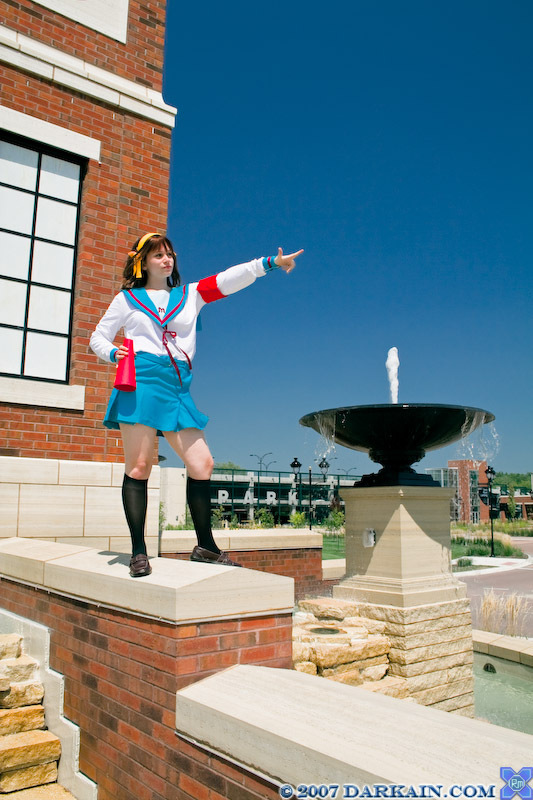 Haruhi is a really dynamic character, which made her very entertaining to cosplay. I also enjoyed the many opportunities to break into random dance! 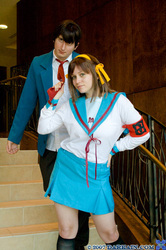 *The Mikuru version of the costume was completely made by BATCosplay and Sumikins.